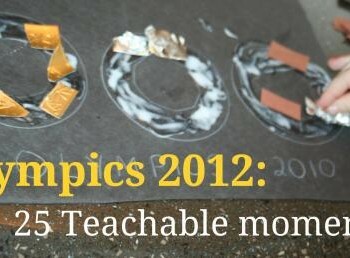 The Olympic Games provide many wonderful teaching moments and opportunities to connect with your kids. 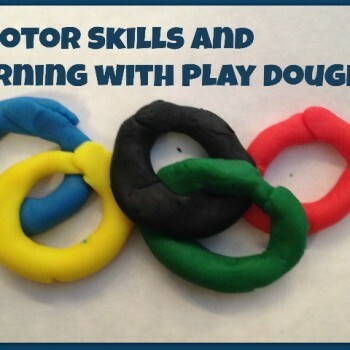 With the 2012 Summer Olympics in London just a few weeks away, have been trying to incorporate as many Olympic related projects as possible into our day to day activities. Want to BE in your own Olympics this year? 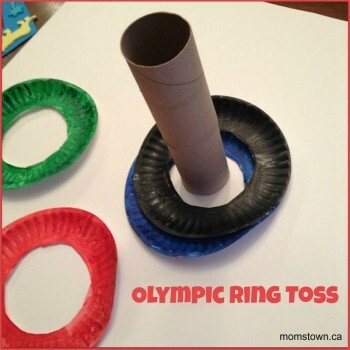 We love this craft to actually create a new Olympic Sport….the paper plate ring toss!!! Getting excited for the Sochi Olympics? We sure are! 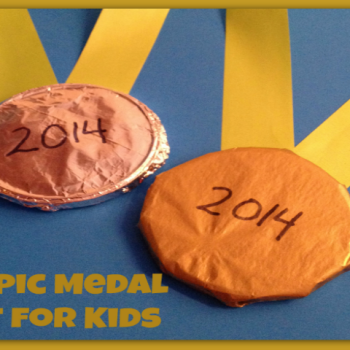 Maybe you are going to host your own Olympics in the backyard or maybe you just want to reenact the Medal Ceremony with these Olympic Medals you can make with your kids! We have been learning a lot about the Olympics and gearing up for the Winter Games coming soon! 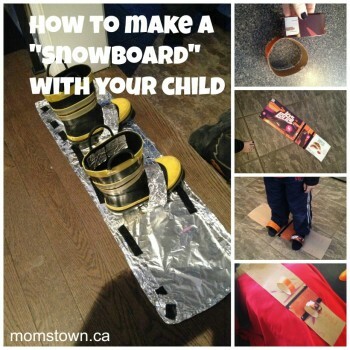 My son has been watching several videos of downhill skiing and snowboarding and decided that he wanted to make his own snowboard and try it at home! 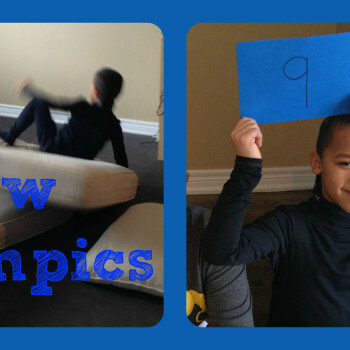 Piling up the couch pillows and taking a running jump was all that we needed to create our Pillow Olympics! Get the kids to help make score signs and you can even sneak in some number recognition and even some addition fun as well! 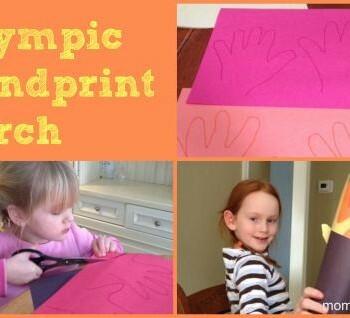 Set up your own opening ceremonies and make a torch with tissue paper or using these handprints! 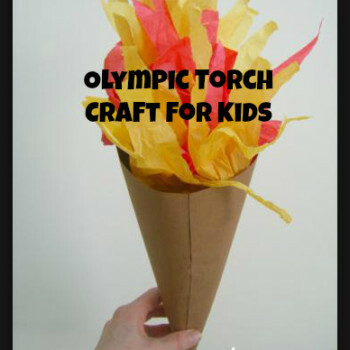 Kids will love these Olympic craft ideas! You might even want to host your own Olympics Party with friends, neighbours, momstown members or family. 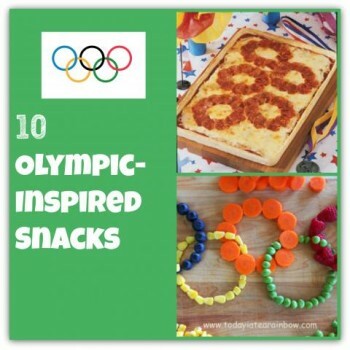 Here are some silly and fun crafts we found online- great ways to get the kids in the kitchen and have some Olympic fun while you eat! 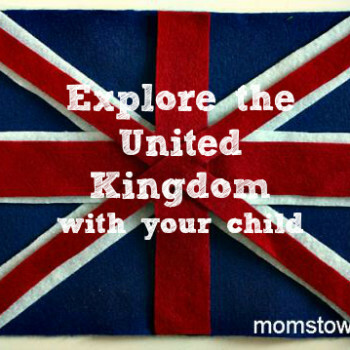 Don’t miss the chance to follow the Olympics AND help your child broaden their mind. Here are our favourite ideas, for all ages, to enjoy and learn from the world’s greatest. 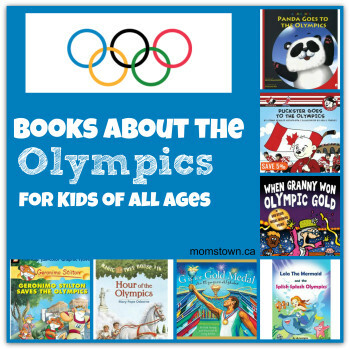 With our love of literacy and reading as a family, we wanted to share 5 great books about the Olympics for kids of all ages, available online, in book stores and in your local library. 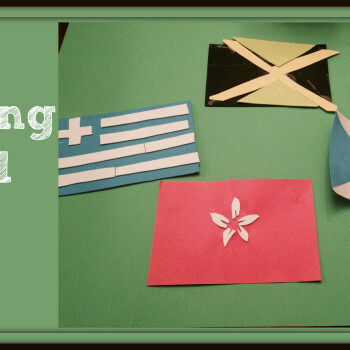 Making the Olympic flag is a perfect teachable moment for so many early learning skills; colour recognition, patterning, cutting and gluing! 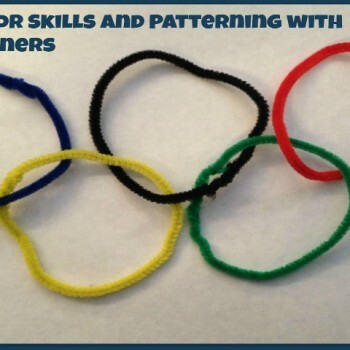 Once you and your child recognize the Blue, Yellow, Black, Green and Red pattern, there is no end to how many ways you can create these rings in your house and practice making the pattern! 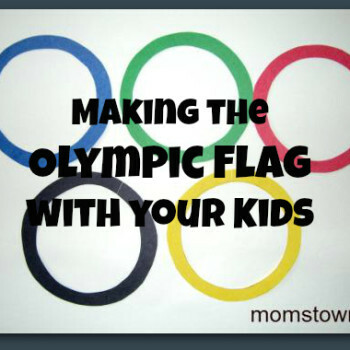 Here are 5 ideas to make the Olympic Flag with your child. 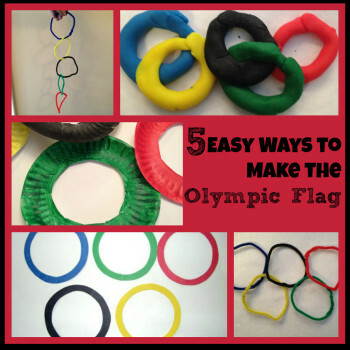 To get us in the Olympic spirit, we started to think of ways to make the Olympic flag. We also learned that each colour was meant to represent a colour on the flags of all countries who participate! Here’s one fun way we practiced some great fine motor skills, patterning, colour recognition, and shapes!